Students at Temple Christian College are offered an extensive selection of sporting opportunities throughout the school year outside of the official Physical Education Curriculum. Through both internal and external carnivals and sporting competitions, they have the ability to develop and maintain their personal fitness and wellbeing while enjoying the benefits of team sports. Instrumental/vocal lessons are a great way for your child to develop their musical skills, as well as strengthen their confidence, organisation and ability to work with others. 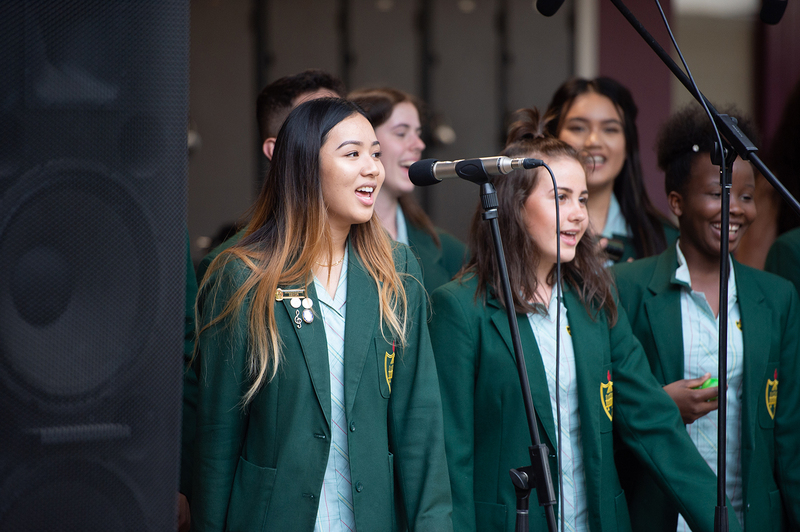 All students at Temple Christian College Paralowie Campus have access to a Music Tuition Program that coordinates private lessons during the school week. At Temple Christian College, a core value of our Christian Education is encouraging students look outside themselves and providing opportunities to experience helping those less fortunate than themselves. One of the many ways we do this is by offering students in Year's 10 and 11 the opportunity to participate in our Mission Trips to Cambodia or Papua New Guinea. The students spend time in schools, orphanages and churches, helping teach and building relationships with the orphans, students and staff in each place. The umbrella that covers all missions and outreach activities conducted here at Temple Christian College, Mission Possible nurtures and encourages the school community to actively engage with the wider community–locally, nationally and internationally through a focused program of fundraising and Mission support. Our focus at Temple Christian College is being able to give our students the opportunity to develop their God given gifts and talents through a vibrant range of co-curricular activities available throughout the year.